Conveyance of neutral, liquid, and gaseous media in moving and vibrating systems such as hydraulic and pneumatic robot control systems, automated dosing systems in industrial plants, as well as in experimental prototype building and pilot plants of physics, biotechnology, chemistry, and medical engineering. 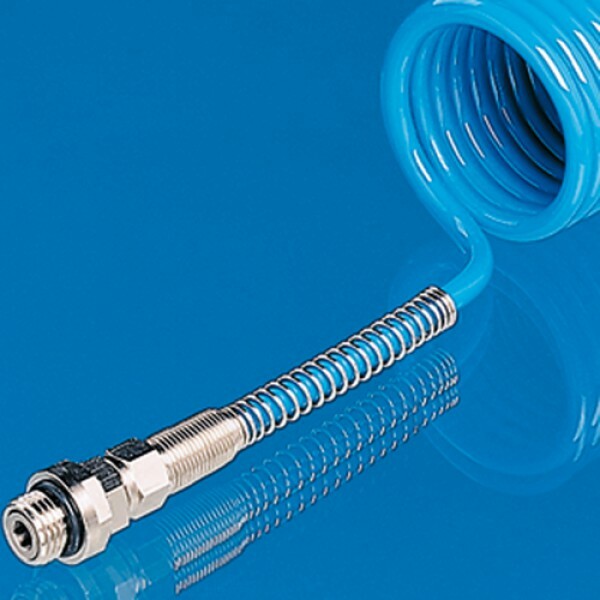 Permanent-helically coiled, extremely flexible polyamide tubing, metrically calibrated. Chemically inert, free of leachable components, resistant to abrasion, pressure and temperature loadable. On both ends, fixed antikink devices and brass-nickelized conical R 1/4" outer threaded pieces, with inner and outer hexagon each for straight connection preferably with THOMAFLUID® plug-in couplings of type range ELGEES PA 3100. 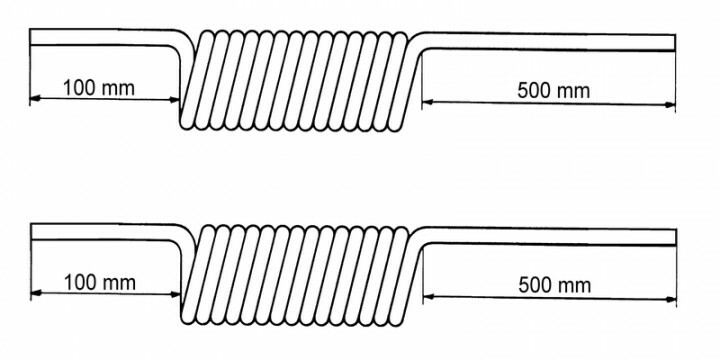 Low weight, two practice-oriented dimensions of 6x4 mm and 8x6 mm respectively; proven, fatigue-resistingly recovering working lengths of 2, 4 and 6 m.